This the second volume of the Fiasco Playset Anthology! 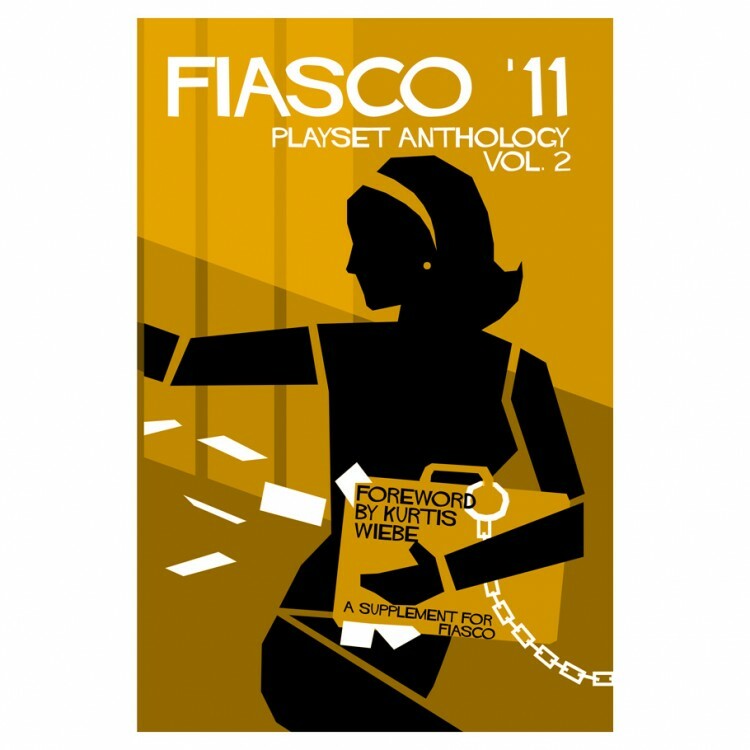 Inside, you'll find a lucky thirteen playsets-twelve that were good enough to be a Fiasco Playset of the Month in 2011, and a thirteenth custom-written by Fiasco designer Jason Morningstar just for this volume. Like the other digital editions in the Anthology, this volume is a full-color, 144 page book, in both PDF and epub formats. The book includes a foreword by noted comic author Kurtis Wiebe, new illustrations by Jason Morningstar, and a beautiful cover design by John Harper, designed to complement the original Fiasco books. Playsets included in this volume: Objective Zebra, Jersey Side, Quest for the Golden Panda, News Channel Six, Town and Gown, Break a Leg, The Penthouse, Horse Fever, Red Front, Camp Death, DC73, The Zoo.